This superb family holiday cottage is located in mature woodland and is within easy walking distance (3 mins) of Rathmullan’s 2km long sandy beach. Furnished in contemporary style the cottage features a conservatory style dining area, fully fitted kitchen, ground floor ensuite bedroom, 2 upstairs bedrooms and a paved patio area to the exterior. The woodland surrounding the cottage provides a safe place for children to play and explore. The village of Rathmullan, with its pubs, shops and restaurants is a 10 min. walk away. 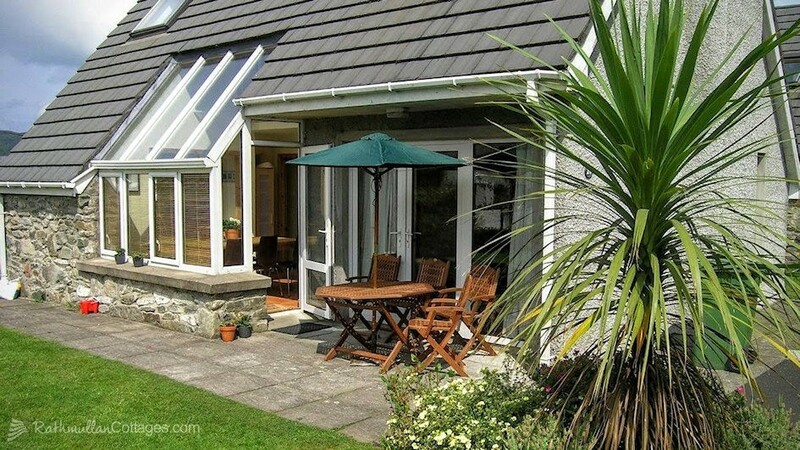 Miller Holiday Cottage Rathmullan	Overall rating:	5	out of 5 based on 2	reviews.